"It truly saved my skin." If I were to estimate the number of skin care products I've tried over just the past two years, I'd put that number in the triple digits. I'll try anything — from luxury face serums that promise to restore my youth to old-school Pond's Cold Cream to face masks designed to look like animals. And, I don't try these products because I have any major skin issues (I hope this doesn't jinx me). I just enjoy keeping my skin hydrated. So, this past winter, I found a hand cream unlike any other I had tried before: Shea Moisture's African Black Soap Soothing Hand Cream. It truly saved my skin. It's affordable. And, it feels so amazing that I used every last bit. 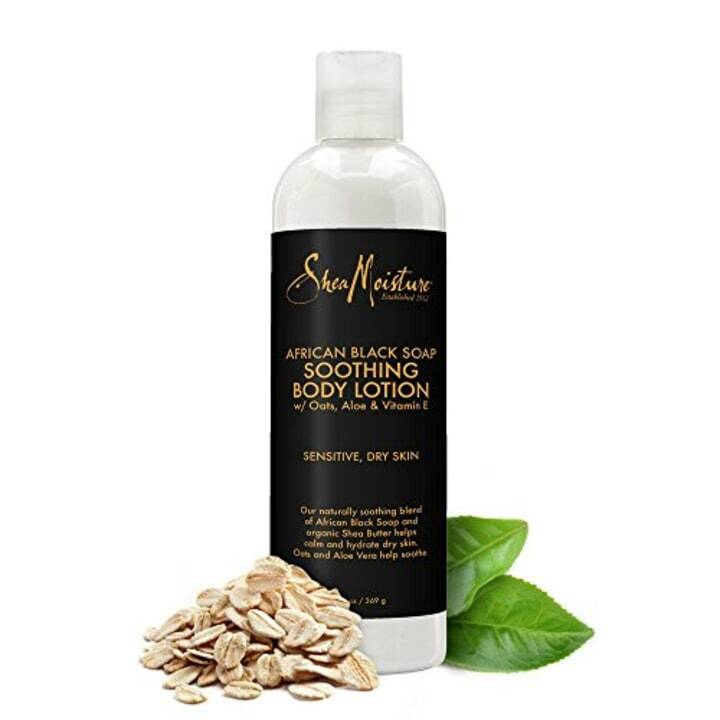 Unfortunately, the hand cream is currently sold out, but this soothing body lotion is from the same SheaMoisture collection, uses the same ingredients and should produce the same results. I've never left a bottle of hand cream in this state before. When I squeeze it, nothing comes out anymore. It's equally sad and satisfying. This past winter was my first in an apartment with very old New York City radiators. Those behemoths kept my apartment toasty ... and severely dry. One week in December, it was so hot in my apartment that my roommate and I walked around in shorts with our 6-foot windows entirely open and we had to call my landlord to just turn off the heat. We preferred to freeze. The heat dried out three of my houseplants within one day. I had kept those plants alive for a year and a half. Imagine what my skin was like! If you can't imagine it, I'll tell you: my cheeks felt like leather, my hands made sandpaper-like noises when I rubbed them together and my skin started to crack. That had never happened to me before. It was painful, and I panicked. I tried a bunch of hand creams over the course of a month and nothing worked. Then, I started using the Shea Moisture cream, which is made with oats, aloe and vitamin E, and my hands felt better after just a few days. Note: I probably should have gone to a dermatologist, and if your skin is so dry that it's cracking and painful, it's probably a good idea to seek out professional help. Make sure to go to your doctor with any serious health concerns. Some people enjoy hand creams that smell like bouquets of flowers. I enjoy eating pizza without my hands smelling like gardenias. This hand cream leaves behind a very mild scent of oats. It's perfect for someone like me, who likes to smell nice, but doesn't enjoy overpowering smells. The first time I used it, I found the Shea Moisture cream very thick. Most hand creams, in my experience, boast a smooth consistency and rub in very quickly. This one has a thicker, creamier consistency, which I was skeptical about. It also makes my hands feel a little oily while I rub it in. But the oiliness goes away in about 30 seconds to a minute, and my hands end up feeling soft and hydrated for hours. I haven't bought another tube of this hand cream because I have another expensive hand cream made in England sitting on my desk. But, honestly, I'm tired of people in the office noting the strong floral smell every time I put it on. And, I'm tired of my hands smelling like lilacs all day long. I like lilacs, but I don't like them that much. I miss my Shea Moisture hand cream. But, I am likely ordering a bottle of the body lotion as you read this.